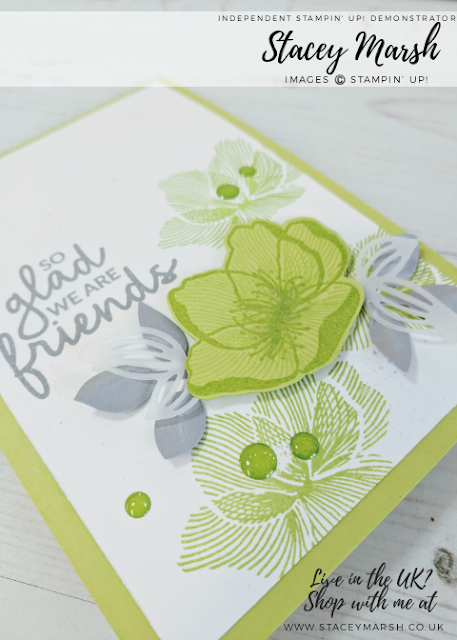 This months card class has been designed around the FOREVER LOVELY BUNDLE which includes the FOREVER LOVELY STAMP SET and co-ordinating LOVELY FLOWERS EDGELITS DIES and today’s card is the first of the 4 cards that we made. 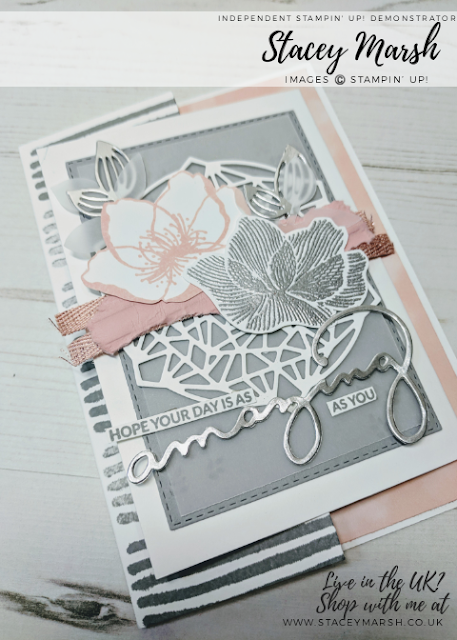 I have based it around a C6 Whisper White cardbase and used the two-step stamping images in LOVELY LIPSTICK and BLUSHING BRIDE to create the design that is on the underneath layer. 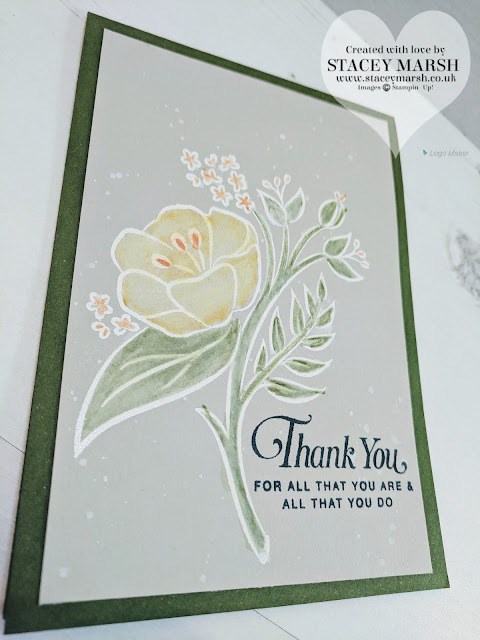 With this card, I find that the STAMPARATUS is invaluable and makes it so easy to line the images up so that they show through the die-cut top piece of cardstock layer. 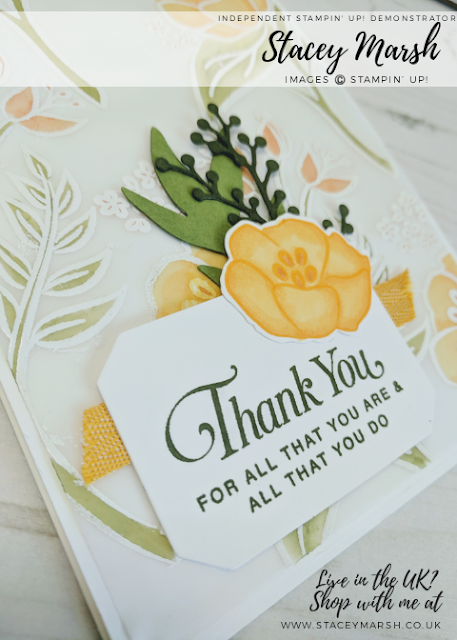 I have stamped the sentiment using TUXEDO BLACK MEMENTO INK and added some die-cut flowers that I have cut out of some of the coordinating FOREVER LOVELY DSP. 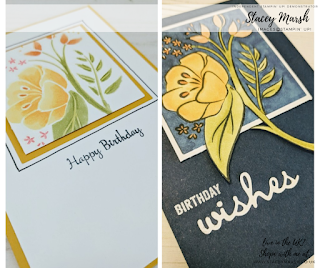 To bring this project together I have stamped the same flower arrangement images both on the inside of the card and on the flap of the envelope. 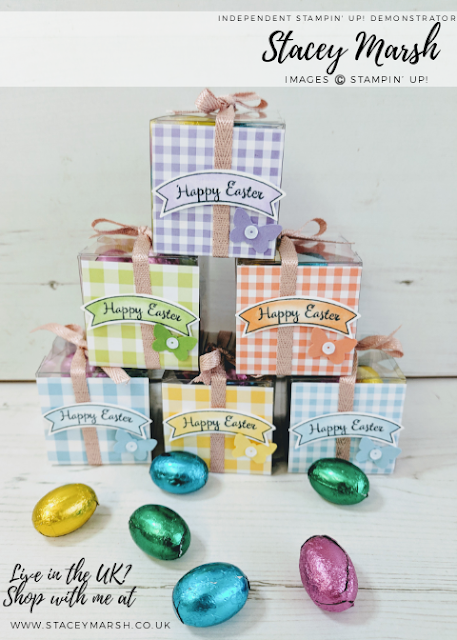 I love a hand-stamped envelope!